The Fair Labor Standards Act of 1938 is one of the most important federal employment statutes on the books. It governs employers’ obligations and employees rights’ around such issues as minimum wage, overtime pay, child labor, and labor costs in general. Wittingly or not, thousands of American employers run afoul of it each year. If you’re being harmed or disadvantaged by a potential FLSA violation, you need to know what you can and can’t do to redress your situation. Fortunately, you don’t have to hire a labor attorney who charges hundreds of dollars per hour or take a crash course in employment law. Just familiarize yourself with FLSA’s provisions, gather as much information about your situation as possible, and follow these straightforward steps to file and prosecute a complaint. Enacted as the Great Depression shaded into World War II, the Fair Labor Standards Act established protections for about 1 million mostly underpaid workers. It has been amended numerous times to raise the federal minimum wage, to extend protections to new classes of employees, and to clarify or change existing aspects of the law. Minimum Wage. The FLSA establishes a federal minimum wage for most hourly employees. In 1938, the minimum wage was just $0.25 per hour. Today, it’s $7.25 per hour. Some employee classes are exempt from the federal minimum, including tipped workers (who can earn as little as $2.13 per hour in regular wages) and certain youth employees. Overtime Pay. The FLSA requires employers to pay hourly employees time-and-a-half (1.5 times their regular hourly wage) for any work performed above the statutory 40-hour-per-workweek cap. Under the FLSA, the workweek is defined as any consecutive seven-day (168-hour) period set by the employer – for instance, 12am to Sunday to 11:59pm Saturday. Certain salaried employees who earn above a minimum threshold (currently $455 per week) are exempt from the overtime requirement, and are appropriately known as “exempt” employees. Child Labor. The FLSA imposes strict limitations on the nature and duration of work performed by minor children. Generally speaking, children under age 16 cannot work during school hours, though exceptions exist for agricultural jobs and certain other occupations. Recordkeeping. The FLSA requires employers to keep meticulous records of employee personal and demographic data, hours worked, wages paid, wage deductions or additions, and other information. The recordkeeping provision also requires employers to clearly display notices advising employees of their legal rights under the FLSA, including how to file complaints. Miscellaneous Provisions. The FLSA contains miscellaneous provisions for specific classes of workers, such as nursing mothers or production employees. They’re designed to protect these workers’ rights and dignity in or out of the workplace. For example, under the PPACA (Obamacare), employers must provide nursing mothers with structured time to express milk. Businesses. All public agencies or “activities” of public agencies are covered by the FLSA. So are healthcare, personal care, and education enterprises, including hospitals, universities, long-term care facilities, lower-grade schools, and preschools. Other businesses are bound by the FLSA if they have gross sales of $500,000 or greater and engage in interstate commerce. Employees. Workers defined as “employees” are protected by the FLSA. Independent contractors are not. The distinction between employee and independent contractor is sometimes difficult to make, and the Department of Labor devotes substantial energy to evaluating such misclassification claims. Some employees are exempt from certain parts of the act – for instance, tipped employees from the minimum wage provisions, certain salaried employees from the overtime provisions, and agricultural employees from parts of the child labor section. Complaints. Complaints can originate directly from employees who believe their FLSA rights are being infringed. They can also arise from third parties who believe that an employer is systematically violating the rights of an entire group of employees. These third parties can be low-level employees who are part of that group, supervisors who directly manage that group, or higher-ups disturbed by the nature of the violations. Elective Actions. WHD also conducts elective investigations of individual businesses without first receiving specific complaints. Though they’re more likely to affect industries with lots of low-wage workers, such as restaurants and retail, elective actions are often random. In other cases, they’re part of a targeted sweep of similar businesses within a particular geographic area – for instance, restaurants in a single city. Companies that have previously committed FLSA violations or received FLSA complaints are more likely to be investigated in the absence of a formal complaint. Initial Contact. An authorized WHD representative (investigator) arrives at the business location and makes contact with the owner or manager. The investigator presents official credentials – WHD doesn’t conduct undercover investigations. The employer’s representative is entitled to representation by an attorney at any point during this process. Orientation. The investigator explains the investigation process and outlines the types of information needed, including employee records required under the FLSA’s recordkeeping provision. The nature of the complaint is not revealed. Determining the Employer’s FLSA Obligations. The investigator examines the employer’s records to determine if it’s covered by the FLSA. If so, further examination is needed to determine what exemptions, if any, the employer enjoys – for instance, employing agricultural or tipped employees. Examining Payroll and Hours Worked Records. The investigator collects and examines all wage and hour information pertinent to the complaint. Employee Interviews. The investigator meets or communicates with select employees, in private, for interviews about the nature of their work, their relationship with the employer, and the records that the investigator has collected. These interviews help verify the collected records and ensure that the employer is not systematically falsifying those records. The interviews may or may not include the complainant, whose identity remains secret in any case. They’re generally conducted in person, but may require long-distance correspondence when former employees are involved. Presentation of Findings. Once all the information has been reviewed and interviews completed – a process that can take days or weeks – the investigator meets with a high-level representative of the employer (usually the owner or an executive with considerable discretion over operations) to present the results. If the employer has been found in violation of any part of the FLSA, the investigator will explain the nature and degree of the violation, what the employer must do to correct it, and what (if any) redress is required. Redress may include payment of back wages for minimum wage or overtime violations, liquidated damages, or civil fines for specific FLSA violations. Alternatively, affected employees (including those terminated in retaliation for FLSA complaints) may elect to file private lawsuits to recover back wages or damages from the employer. WHD does not collect redress on such employees’ behalf. Litigation or Prosecution. In some cases, the employer is found to be in egregious violation of the FLSA – for instance, the investigation finds repeated youth labor violations that result in injury, systematic falsification of employee records with intent to mislead WHD, or retaliation against employees who file FLSA complaints. WHD reserves the right to commence litigation or criminal proceedings against the owner or relevant decision-makers in such instances. 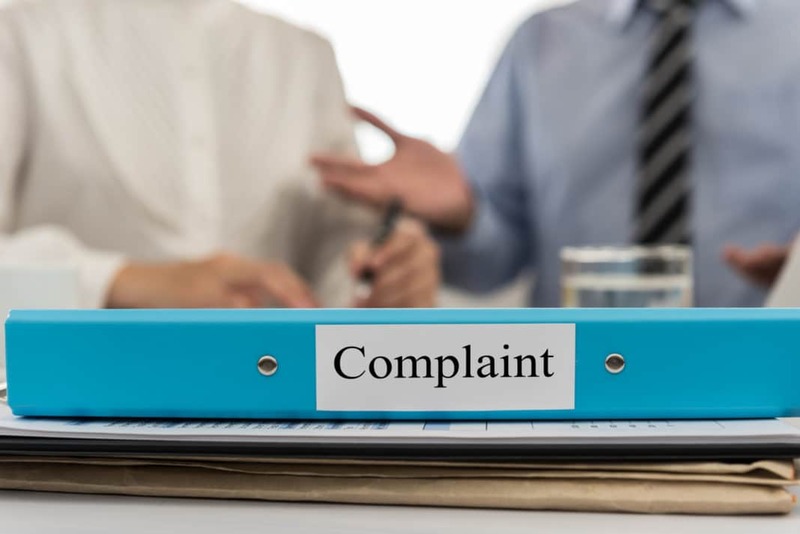 If you believe that your current or former employer is violating the spirit or letter of the FLSA, the law entitles you to lodge an anonymous complaint with WHD. WHD may only reveal complainants’ identities when ordered to do so by court order or when necessary to pursue a complaint to completion. The FLSA establishes a two-year statute of limitations for violations not deemed willful, and a three-year statute of limitations for willful violations. This means that the federal lawsuit precipitated by your complaint must begin no more than two or three years following the most recent violation. You may not be entitled to redress (e.g., back wages) for violations that occur outside the statutory window. During the complaint process, WHD does not take affirmative steps to verify the immigration status of affected employees. Undocumented workers are entitled to redress under FLSA, and employers cannot use the immigration status of their employees as a defense against FLSA claims. Earning Less Than Minimum Wage on a Weekly Basis. Divide your total hours worked per week by your total gross pay for that week. If you’re paid biweekly, take each week’s average separately. Is your average hourly pay rate for either week below the federal minimum wage after tips are factored in (if applicable)? Missing Overtime Wages. If you’re an hourly (non-exempt) employee who works more than 40 hours per week on a regular or occasional basis, your pay stub should clearly note the exact number of weekly overtime hours, your overtime pay rate, and your total overtime pay. Is your overtime pay rate equal to or greater than 1.5 times your regular pay rate? Is your employer properly counting your overtime hours? Clocking Out for Short Breaks. If you’re an hourly worker entitled to short breaks throughout your shift, does your employer require you to clock out for them? Depending on their length and frequency, that could be an FLSA violation. Intentional or Unintentional Exemption. If you earn less than $455 per week, even on a salary basis, your employer can’t classify you as “exempt” to avoid paying overtime for hours worked in excess of the 40-hour threshold. Intentional or Unintentional Contractor Classification. If you’re classifed as a contractor, but believe that your duties and obligations more closely resemble those of a traditional employee, your employer may be in violation of the FLSA. Refer to Department of Labor Fact Sheet 13 for more information on the differences between contractors and employees. Supplemental materials, such as copies of your most recent pay stubs and time cards, are also helpful. If you’ve kept your own records of your hours worked, perhaps on a time tracking app, collect those as well – they’re useful for comparison purposes. Additionally, gather any contextual information that may or may not be relevant to your situation – for instance, that you’d regularly receive some wages by paycheck and some in cash. Finally, bring your complaint to WHD. If you have general questions about how the complaint process works, your best option is to call (866) 487-9243 and speak with a WHD rep. They can’t provide specific advice about your case over the phone and won’t advise on the likelihood of a favorable outcome, but they can certainly provide context and try to make the process a bit less overwhelming. If you feel comfortable skipping this step, you can visit WHD’s website and look up your local office. WHD has more than 200 branch offices scattered throughout the United States, so there’s likely one in your city (or at least within easy commuting distance). Once you present your complaint, WHD staff will investigate in accordance with the agency’s established procedures. You may be called upon to provide additional information. 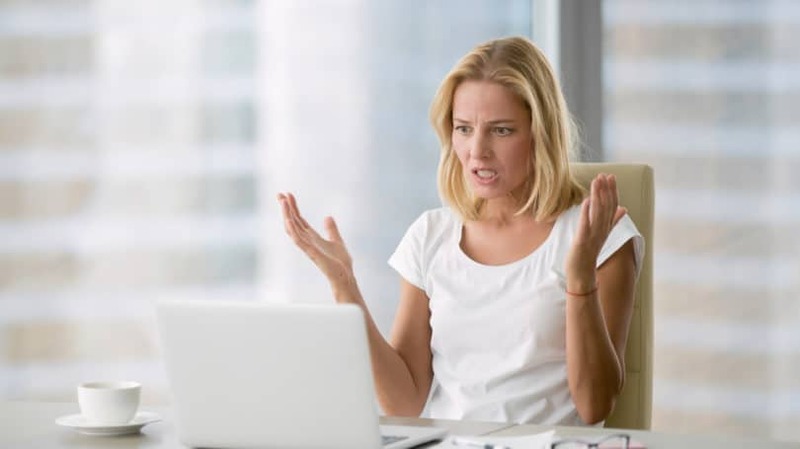 For various reasons, employees sometimes don’t feel comfortable complaining to WHD on their own behalf. 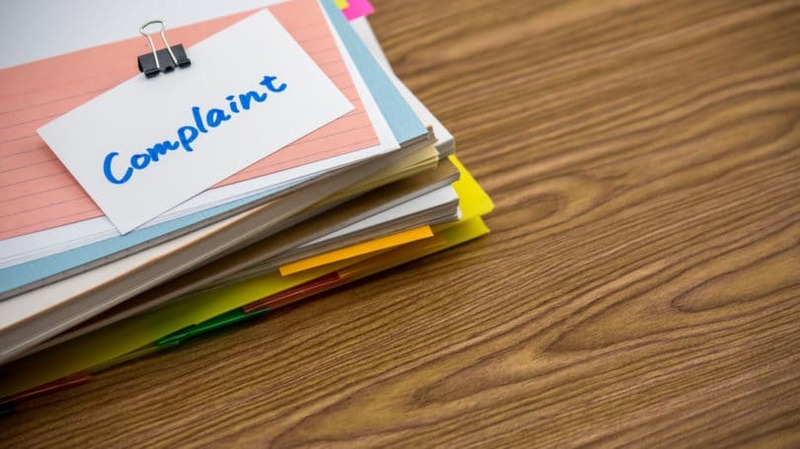 Not surprisingly, third party complaints – FLSA complaints filed by an individual or group on behalf of another individual or group – are quite common. Whether you work an entry-level job at a fast food restaurant or sit in the corner office at a white-shoe law firm, your status as an employee entitles you to certain rights. By the same token, your employer is required to meet certain obligations to you. In exchange for your dedication and service, you deserve a modicum of respect and consideration. The reverse is true as well. Starting a small business (or large one, for that matter) is hard work – it requires a genuine leap of faith. Perhaps we’d all be better off if employers and employees alike would remember that, in the end, more unites us than divides us. Have you ever filed an FLSA complaint or suspected that your employer was in violation of the act?